Also--great odds on winning your choice of MH food in our Nov. drawing! 1. 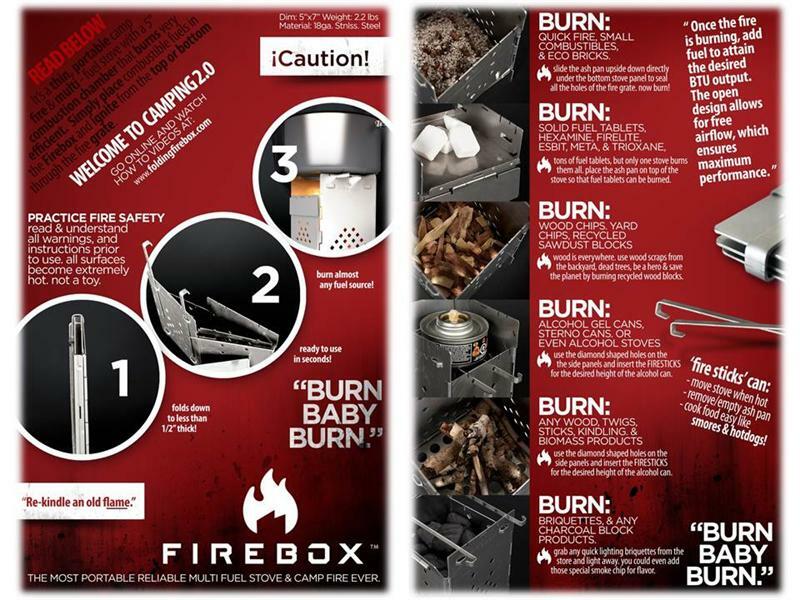 From November 26 to December 2, during Week 14 of our ongoing "Repel the Chaos" incentive program, Safecastle Buyers Club members who make any purchase of at least $600 in our store will receive a free bundle that includes a robust Firebox Folding Stove (uses any fuel), the patented aerospace-quality Aurora Firestarter, and two ReadyFuel packets. 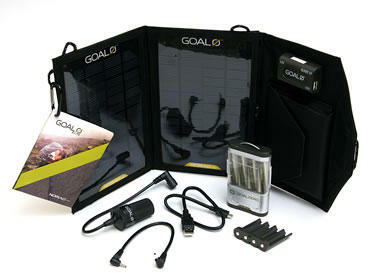 This kit is a must-have in any bug-out bag, and makes an excellent gift for outdoorsmen. Check the product videos at the linked store listing above. No coupon codes required--qualified member purchases automatically receive the goodies in our back-office fulfillment process. Previously issued incentive awards such as Royalty Rewards gift certificates that are used do not count toward the required minimum purchase for this offer. Other discounts, such as MH dealer price-matching do not qualify for this offer. 2. Also--our last MH sale of the year is still running thru November 30. We are offering discounted sale prices on seven family-favorite varieties of Mountain House can cases--for members and non-members alike (while members also receive Royalty Rewards gift certificates for qualifying purchases). 3. Lastly, our November Repel the Chaos monthly drawings will award two lucky winners their choice of any listed Mountain House food in our store!! See details. Winners will be drawn from eligible entries/qualifying purchases received in November. 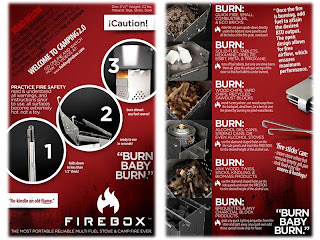 From November 26 to December 2, during Week 14 of our ongoing Repel the Chaos incentive program, Safecastle Buyers Club members who make any purchase of at least $600 in our store will receive a free bundle that includes a robust Firebox Folding Stove (use any fuel), the patented aerospace-quality Aurora Firestarter, and two ReadyFuel packets. This kit is a must-have in any bug-out bag, and makes an excellent gift for outdoorsmen. Check the product videos at the linked store listing above. Week 13--Free Ghee, MREs, Green Coffee, & Goal Zero Guide 10 Kits!! My resident bean counter is kicking me but I'm feeling quite thankful this week for the bounty of my blessed life. 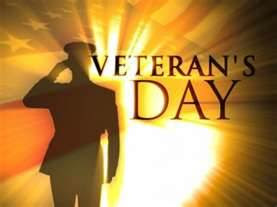 Many reasons to be thankful to God and I am doing my best to generously share with our friends and customers. Week 13 of our ongoing Repel the Chaos program is kind of crazy, I will admit. 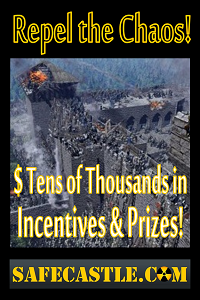 This is an easily achievable ladder of club member incentive giveaways that will help you get squared away fast for the times ahead. That's over $550 worth of great, free preps thrown in on a member purchase of $1500 or more, on top of any regular member discounts, sale prices, Royalty Rewards rebate, and our normal free shipping! Such high volumes of storage food orders are being placed to food suppliers over the last week to two weeks that I am pretty sure we're going into another period when storage foods are going to be backordered at the factory. If you recall last year, that can go as long as 5-6 months in no time at all. Why now? You'd have to poll the buyers to be nail it down, but I suspect any or all of these events are being considered as motivation (I doubt that I need to explain more): the Hurricane Sandy aftermath, the election, the fiscal cliff, an erupting war in the Middle East. The beat goes on. This is perhaps the best value of our ongoing "Repel the Chaos" series of weekly offers ... Week 12. Also--thru November, we are offering discounted sale prices on seven family-favorite Mountain House can varieties--for members and non-members alike (while members also receive Royalty Rewards gift certificates for qualifying purchases). 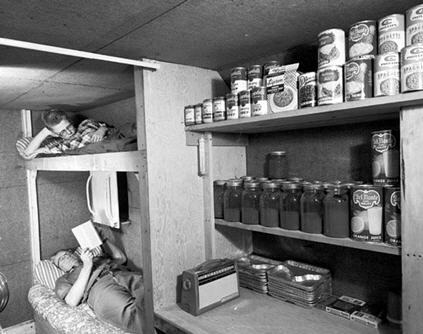 Those of you prepping several years ago in the Hurricane Katrina era may or may not recall how prepping supplies and emergency storage foods went totally out of stock for several months afterward. 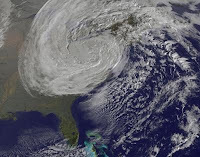 FEMA bought everything they could find after Katrina and shipped it all down to the Gulf Coast (and a lot of it went to waste, never to be distributed). No one else could lay hands on storage food or water filters, etc. for weeks and months afterwards. Then when suppliers did start to get product back out to retailers in volume, the whole prepping industry went into overdrive because the population at large had gotten a wake-up jolt and bought everything in sight as it did come back onto the market--particularly MREs and freeze-dried foods. That subsequent demand surge lasted well over a year and customers were having to wait on average around 6-8 weeks for their orders to deliver during that period. This post-Sandy situation is beginning to remind me of how things went down in 2005. There are folks still waiting desperately for help. People who are hungry are begging for food. The media is slowly finding the tragic angles. It's getting to be a political issue and fingers are being pointed back and forth. I don't get the feeling this is of the same scale in terms of human suffering as what Katrina was, so FEMA is probably not going to lay waste to all available inventories of food and preps as they did seven years ago. But what I am beginning to get a sense of is that this is again going to be awakening another large segment of the population out there about how important it is that they take care of their own households before disaster strikes, since clearly you do not want to be waiting for the cavalry to come in to rescue you and yours. Vic Rantala owns Safecastle, a leading crisis preparedness provider for over 10 years. 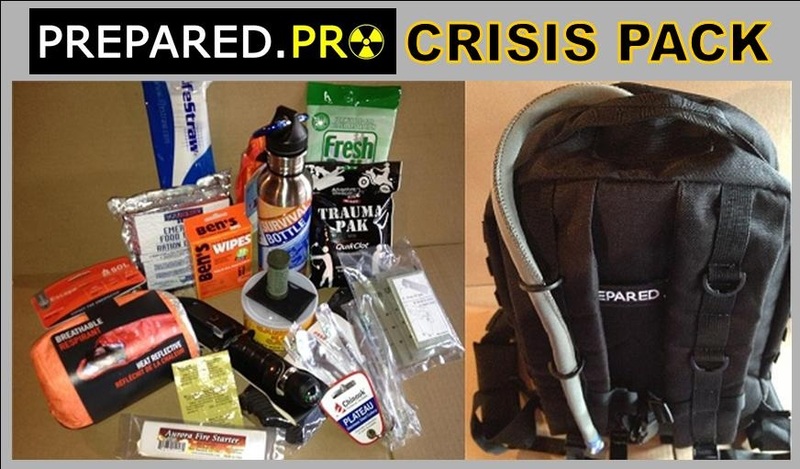 Mountain House Sale - and a Free PREPARED.PRO Crisis Pack, value $249! 1. A limited Mountain House food sale is on now thru November. A total of seven family-favorite Mountain House canned varieties are on sale at 10-25% off. Everything always ships free of course to the continental U.S.
2. Buyers club members are receiving their Royalty Rewards gift certificates for their qualifying Mountain House purchases ... $20 gift certificates for every three can cases purchased in a transaction. 3. Now thru November 11, members are also receiving a free PREPARED.PRO Crisis Pack, value $249, when they purchase at least 6 cases of Mountain House cans. This is our Week 11 "Repel the Chaos" offer--one weekly offer per customer. 4. Finally, we just introduced Paypal's "Bill Me Later" for purchases of $99 or more, making it easier than ever to take advantage of our special preparedness opportunities--just when you need it the most. --Congratulations to Helena F., order #16938. Helena is the winner of our October Repel the Chaos prize drawing for a Country Living Grain Mill, value $449. Our November Repel the Chaos drawing will be for two lucky qualifying members--their choice of any Mountain House case of freeze-dried food! 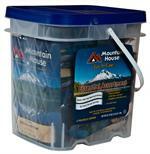 And congratulations also to Irene M., winner of a Mountain House Essentials Bucket in our monthly Facebook drawing.